If you read our Make the Kids Behave By Letting Them Create Art blog post then you'll definitely love our Free Wedding Coloring Pages. 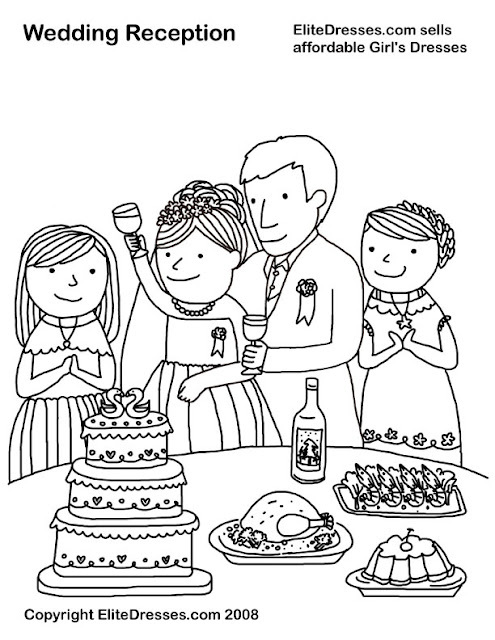 Your little girls will love our cute printable activity pages and will surely learn about wedding traditions while coloring the pages. 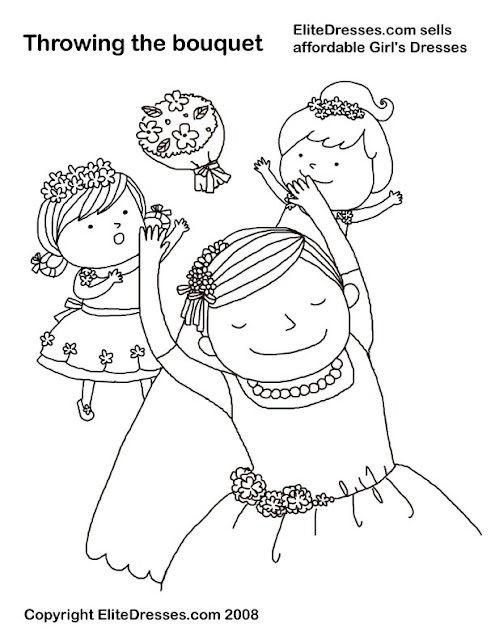 Teach them about the throwing of bouquet tradition while they work on the throwing the bouquet coloring pages. Working on Elitedresses' activity pages will give you and you daughter bonding moments that is fun and educational.